Who has not heard of the Crescent Hotel in magical Eureka Springs, Arkansas? Our nightly ghost tours provide an unforgettable experience – walking the restored-to-period corridors, recalling the residents of long ago, and lingering in the Morgue/museum of glamorous charlatan Norman Baker. But there is more! 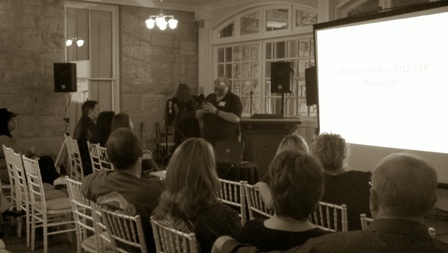 The Crescent Hotel also offers other ways to investigate the Paranormal – including semi-annual themed conferences and live theatre with supernatural themes. in the mind, on the planet and in the heavens. DOWSING – learn techniques from a master and try your hand! CROP CIRCLES – Man made? Messages from space? Both? The jury is still out! 2 Nights Stay in a Premium Room, Breakfast for Two, All Events Pass, 2 tickets to Not Really A Door, 2 Tickets to the Ghost Tour. $439 plus tax. Valid Friday & Saturday, 8/23 & 8/24. Check Availability. Day Passes Available: Friday $75, Saturday $100, 3-Day $125. Purchase passes here.